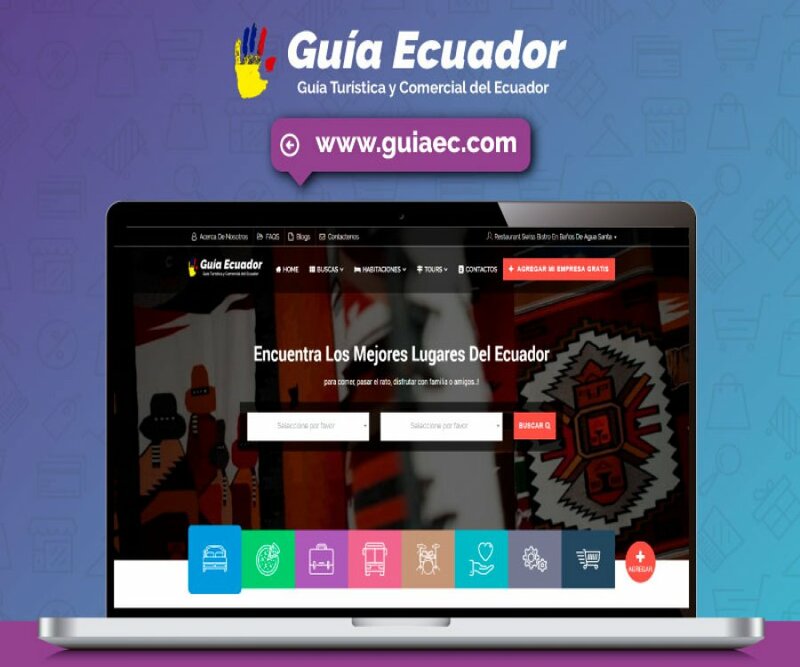 Dear tourist and business clients from Ecuador, at the moment we are promoting our new Guide of Tourism and Commerce at National Level. We offer a promotional tool according to the current technological needs, in addition to an extremely low cost. At the moment we have a FREE membership with which you can try our product and how easy it is to work with it, during a period of 30 days. STANDARD: a plan dedicated to those tourist and commercial suppliers that do not have the same promotion capabilities as large companies, the value is 24.99 + VAT per year. PREMIUM: a different plan and with all the functionalities that includes the sale of tours or rooms, depending on the category of the company, with a value of 49.99 + VAT per year and with great benefits. PREMIUN PLUS: the same old plan only with a promotion period of 2 years, at an unbeatable price 79.99 + VAT. Remember that these prices are LAUNCHING of our platform and also we are always innovating to offer you constant improvements, and therefore our prices will change. So you are in time to enjoy and enjoy a tool designed for you at an INCREDIBLE COST ..!